"A uniqe design for this technical 1/2 zip : stretch, lightness, warmth, excellent moisture transfert and comfort. Perfect for all winter aerobic activities. Ski touring allows us the opportunity to be closer to nature, away from the noise of everyday life. The sporty Rise Zip was designed to take us to these remote destinations in comfort and style. Thermo Soft Active and Thermo Honeycomb are body mapped to maximize performance when you need it most like on the uphill climb as they are extremely moisture-wicking, breathable, stretchy, and lightweight. Flatlock stitching offers next-to-skin comfort, and zipped chest allows for extra ventilation when needed. 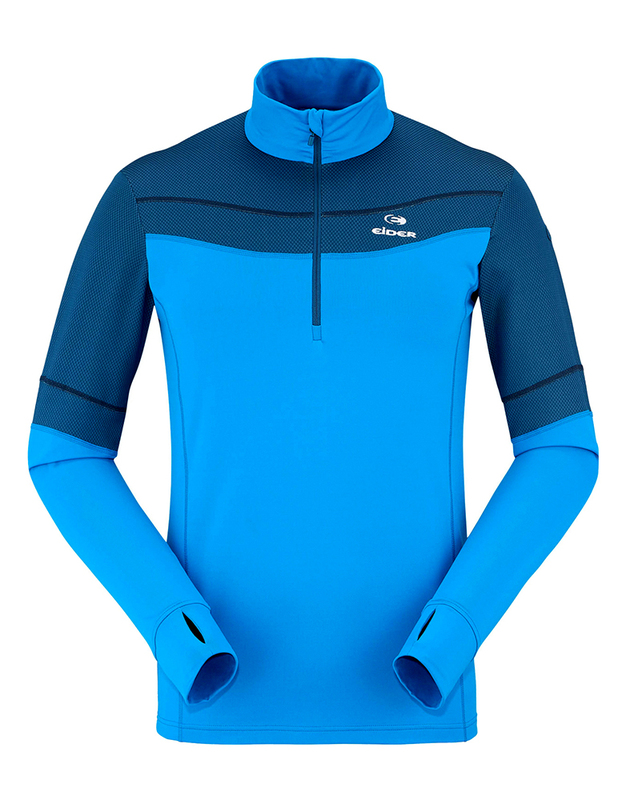 Flatlock seams let you wear this item next to the skin without risk of irritation. They stay supple and stretchy, so are particularly suited to stretch fabrics. This product was designed in our Annecy studio and is manufactured in one of our factories, ensuring healthy working conditions and social benefits for the employees that made it. A very high collar offering complete neck protection. Fabrics : THERMO HONEYCOMB BIFACE // 94% POLYESTER 6% ELASTANE"